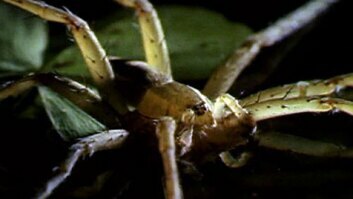 February 12, 2018 - Researchers used high-speed video to show how fast the flattie spider spins to ambush its prey. This arachnids pivots on the leg closest to the prey. The like figure skaters drawing their arms inward to spin faster, it pulls its remaining legs off the ground towards its sternum. This maneuver can result in strike speeds up to 3,000 degrees per second, giving this spider the world’s fastest spin of any land animal. it spins so fast that it can turn three times in a blink of an eye. 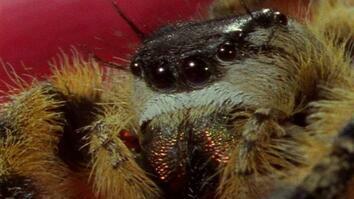 High-speed video shows how flattie spiders pivot on the leg closest to the prey. they pull their remaining legs off the ground towards their sternum. 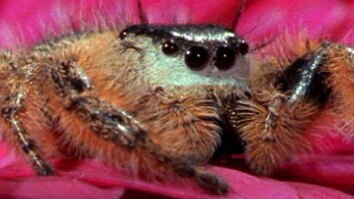 Giving this spider the world’s fastest spin of any land animal.